Participants will be working with local Churches and getting involved with the Oyibi Project working with young girls and women who live in vulnerable situations in Accra. Each participant will be challenged to do something they do not normally do i.e. speaking, drama, leading a team. 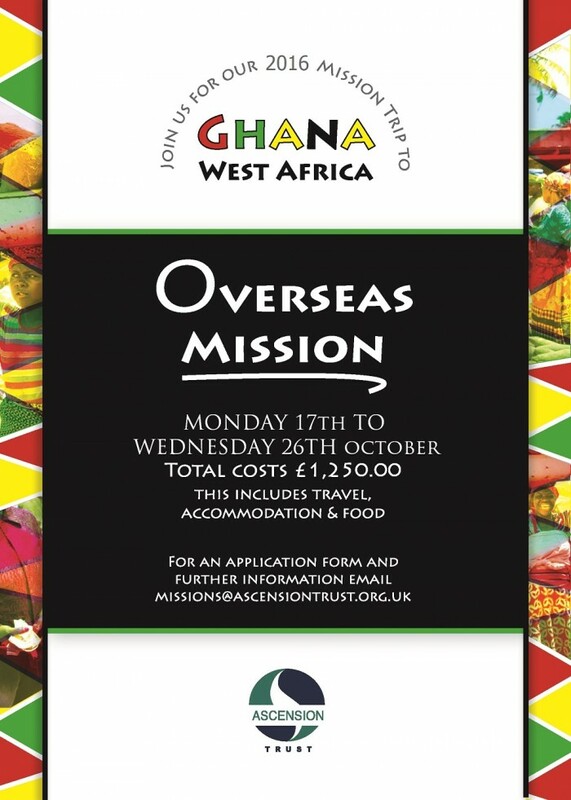 The trip will cost £1,300.00 per person and covers your flight, accommodation, transportation and food whilst in Ghana. PLEASE NOTE: Applicants will need to obtain a visa, vaccinations and insurance for the mission trip. Applications must be made through the Ascension Trust office by closing date 31st May 2017 (Please contact Ascension Trust office for application and reference forms). If you wish to take advantage of paying by installments do pay special attention to the dates by which payments must be received below. A none refundable deposit of £300.00 must accompany your application form, the deadline for this is 30th April 2017. Booking Deadline: 31st May 2017. 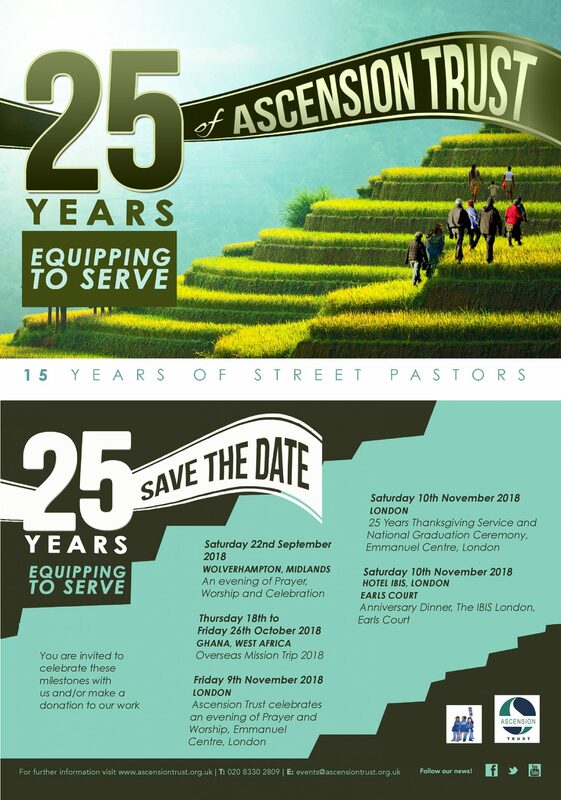 Website: for further information and to register please email Email: missions@ascensiontrust.org.uk.